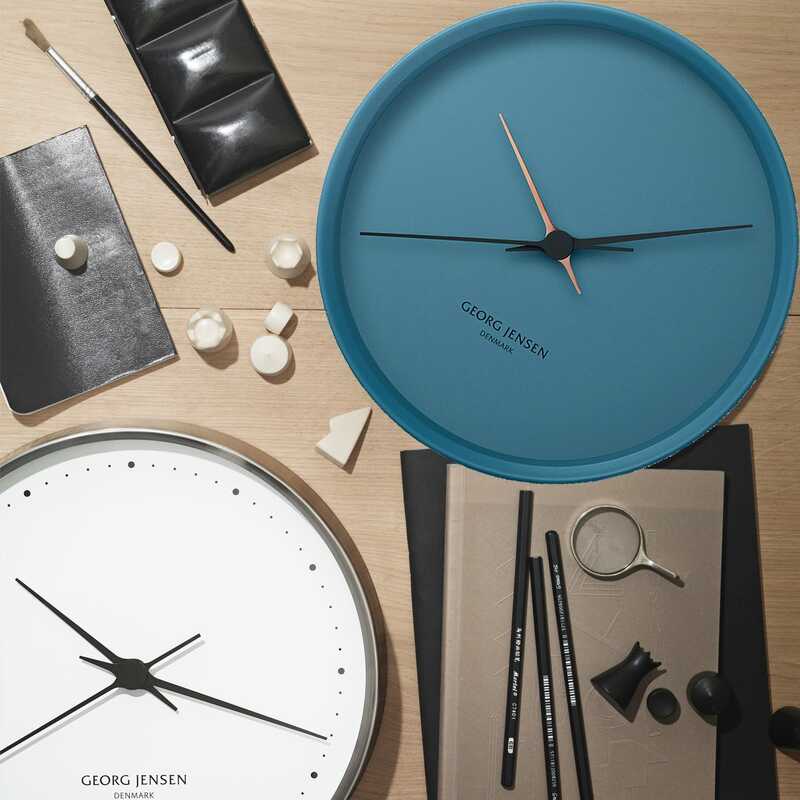 Designed by Henning Koppel in 1978, the Koppel Clock has since gained the status of a design classic. 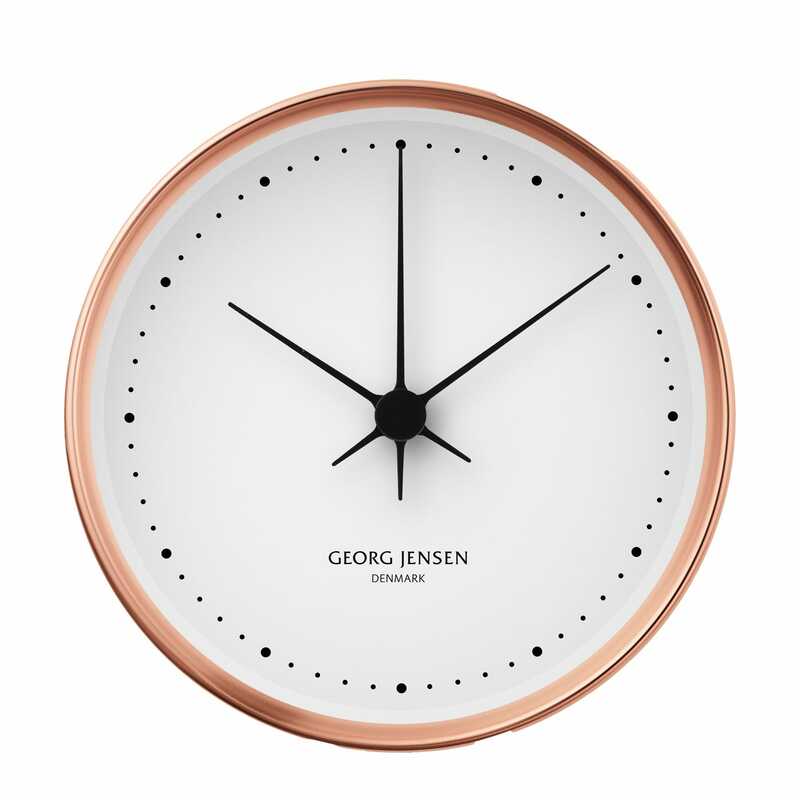 Revolutionary on its debut, this minimal timepiece features the same numberless designed clock face and sleek black hands and now has a contemporary twist with a new copper finish inspired by Georg Jensen’s archive. The copper has been varnished to protect it against oxidisation and corrosion and will maintain its shiny surface. Do not polish the clock as this may scratch the protective varnish.